The Blend. 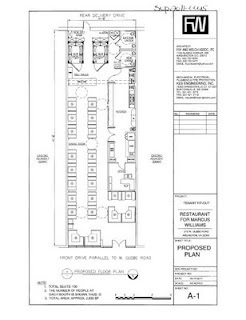 An application has been filed for a new restaurant at the corner of Mt Vernon Avenue and West Glebe Road to be located in the newly renovated shopping center at 212 W Glebe. The Blend proposes a diverse menu incorporating Caribbean, Ethiopian, Spanish and American cuisines. The 100-seat restaurant, employing 14 would operate from 6am to 11pm, seven days a week with food prepared by chefs on-site. In addition a small meat market would also be incorated with specialty meats and fish. The concept is fast casual with on-premises alcohol sales, as well as carry-out and delivery food service. Huascaran for Breakfast. Paula Coleto's well-regarded Peruvian eatery, Huascaran at 3606 Mount Vernon Avenue has been approved to extend its hours to offer breakfast 7 days a week. Coming to North Potomac Yard. 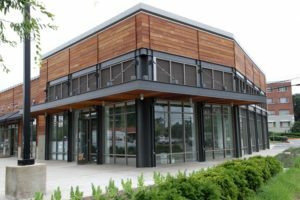 A new bar/restaurant is coming to the Market Square at Potomac Yard development (3650 South Glebe Road) in the site of the shuttered McGinty's Pub. “Melody Tavern” will serve healthy, modern American fare and will host live music and comedy acts, according to owner Michel Daley, former co-owner of DC's Zanzibar. Coming to Arlington Ridge Shops. A Midlothian, Va.-based coffee shop/wine bar/soup-salad-and-sandwich restaurant is coming to the Arlington Ridge Shopping Center at 2901 South Glebe Road (don't call it Shirley Plaza anymore ). In a storefront once occupied by a Blockbuster video, Cafe Caturra will offer specialty coffees and boutique wines to drink, as well as breakfast sandwiches, soups, salads, paninis, mini pizzas and other fresh fare to eat. (full story at ARLnow.com). Whatever That Is. The new Renaissance Arlington Capital View Hotel in north Potomac Yard (2800 South Potomac Avenue) will be hosting “Angry Hours” — a weekly series of live Angry Bird tournaments — every Thursday from July 14 to Aug. 25. (more at ARLnow.com). This Just In! Improvements at the Mt. Vernon/W. Reed intersection are almost about to happen. 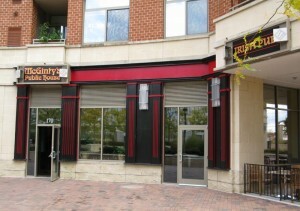 Construction will commence on July 11, 2011!! 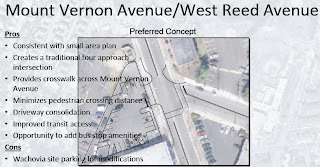 Remember you read it here first: Arlandria Intersection Improvement Meeting Summary. 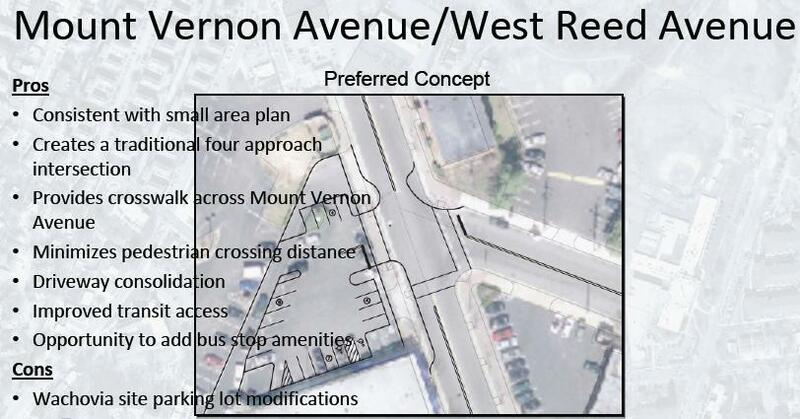 The long awaited pedestrian and streetscape improvements we discussed are finally about to arrive. Other Crossings Improved. ARLnow.com reports that Pedestrian Improvements Underway on Shirlington Road near the sidewalk in front of the Weenie Beenie, between Four Mile Run Drive and 27th where the new 4MR Trail extension end. 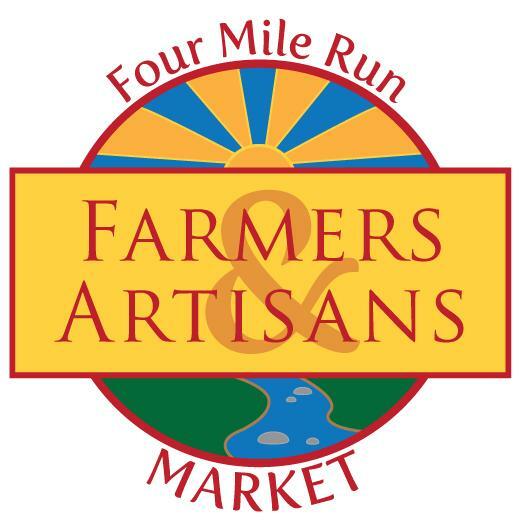 ‎"The Four Mile Run Trail alone handled 1,300 people per day during the month of May," according to Arlington County. Environmental Learning along 4MR. See GW Middle School Goes to Work! from Go Green Alexandria. Kurt Moser of Earth Force teaches GW students about macroinvertebrates and aquatic wildlife at Four Mile Run Park. Art Help Wanted. The Art League and Casa Chirilagua are looking for Art Teacher Volunteers Wanted for Summer Camp. Very Brief. Potomac Yard construction has finally gone vertical this week. And Potomac Avenue is almost paved with streetlights installed and lines being painted.